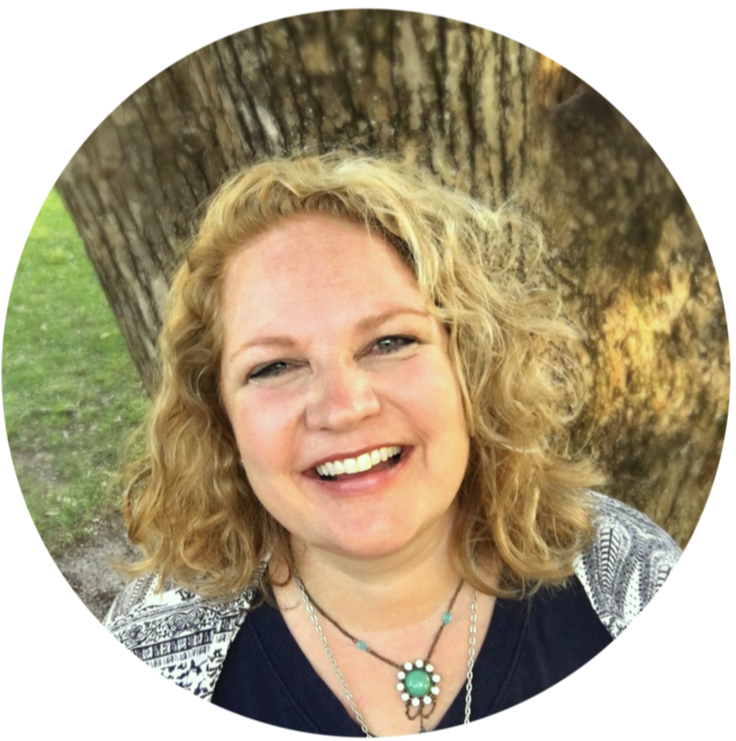 If you read my post here then you know that boundaries are essential to leading a healthy life. 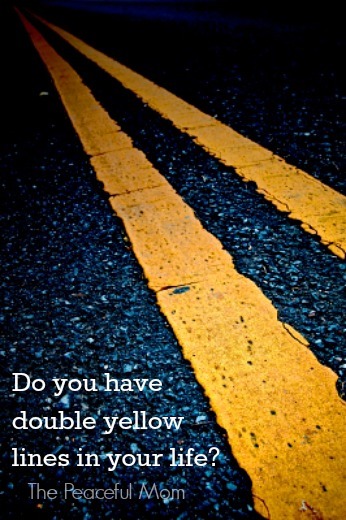 Just as the double yellow lines on the road show us where to drive and where not to cross over, our lives need to have “double yellow lines” so that others know where they cannot “cross over”. Knowing that you need these lines, or boundaries, and being able to set them are two entirely different matters though. In other words, what responsibilities do I have that can only be met by me (maintaining my marriage, mothering my children, taking care of myself for example)? These activities should take priority. Keep it Simple – Once you have decided that you need to refuse a request, keep your response short. For example,”No thank you. I am unable to do that at this time.” The longer your explanation the more opportunities you give the other person to find a “hole” in your argument and a response about how you can do what he or she is requesting. Be Firm – If you know that you should not or cannot participate in a requested activity, make a decision ahead of time that you are definitely not going to do whatever has been asked of you. If the person you say “no” to doesn’t receive your answer, simply keep repeating it in a calm manner and leave the situation as soon as possible. Do not respond with any other answer when they give you reasons why you should say “yes” because it gives the person hope that they can convince you and it will prolong the discussion. Be Calm – Many times children who grew up in dysfunctional homes believe that boundaries have to be set in anger because their parents used anger to control them or because that is the only emotion that allows them to feel strong. The truth is the strength of your “no” lies in your inner resolve. Once you have decided that you need to set a boundary, you can calmly reinforce that boundary without getting angry. Be Empathetic – If the other person responds angrily, remain calm and respond with empathy. For example,”I am so sorry that you feel frustrated.” DO NOT, however, allow the other person’s anger to change your mind about your boundary. Unhealthy people are accustomed to using anger and manipulation to get what they want. You are actually loving them by teaching them that healthy people do not give in to petulant behavior. Be Prepared – If you are just beginning to learn how to set boundaries, it is important to have some standard responses and to actually practice them. For example,”I’ll have to check my calendar and get back with you.” or “I will have to ask my husband.” This response will give you time to seriously consider the request and determine if you should do it or not. As in any area, balance is important. When you first begin to set boundaries, you may say “no” to everything in order to get your life back. Over a short period of time you should be able to begin saying “yes” to requests that you want to honor as long as you are taking care of your primary responsibilities FIRST. It is also important to realize that there are some things which we need to do even though we don’t want to. Ask God for wisdom about what those things are. There is definitely a difference in being selfish (constantly taking from others without giving anything back) and taking care of yourself (giving out of the overflow of your life rather than giving at the expense of your health, finances and family relationships).
. 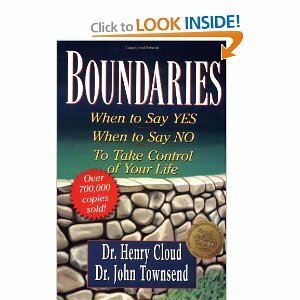 It is an easy read and can really help to enlighten you on how to set better boundaries. ©2010 The Peaceful Mom- Please feel free to share links to this post on social media but no material on this website may be reprinted in any form without the express written consent of the author. Please note that this post is not intended as professional advice but simply the author’s personal opinion. You should seek professional advice if your circumstances require it. I am reading that book right now! Yes, I did grow up in a alcoholic dysfunctional home. I am not doing this perfectly but I am making progress. This book has helped and your tips are great! I just found you, and already feel my life is improving! What a fantastic bit of advice. Thank you so much! Totally helpful advice. I was terrible at saying “no” and needed therapy to be able to do it. I think you’re right about how clear and simple is the best, and sticking to your guns. I have also found that by giving a reason why not, the person can always come back, finding a “hole” in your reason, as you wrote. I found that really productive people just do what they want, they don’t care whether the other person is bothered by it or not. In the past, when I said no I was always looking for permission out of something. “I can’t because I have too much work.” Answer: “You can work later.” I felt the person wasn’t “letting” me off the hook. Finally I get that they don’t have to! I can still say no. Such a good point Rachel: “I felt the person wasn’t ‘letting’ me off the hook. Finally I get that they don’t have to! I can still say no.” So powerful! I was thinking specifically of saying No to adults when I wrote this. Those are definitely good ideas for parenting. Thanks Jay!